Had to leave work early yesterday too - I'm back to being sick. Unfortunately I had the evening feeding so no rest for me. Since I couldn't ride (I won't ask for more fever) I spent one hour polishing my saddle and another hour brushing Vasara, though very slowly not to strain myself. Then I was so lucky because my dear stable friends sent me home and took care of the feeding for me. Thank you!! 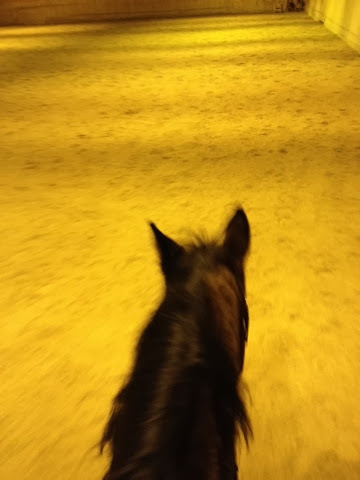 Yesterday I started to feel I'll so we took it a bit easy riding and only made it to 3 x 4 minutes of trotting.